888 Auctions is presenting a timed auction of 450 lots of fine Asian antique items through iCollector.com. This is an absentee bidding catalog and bids are required to be completed before the live auction begins at 3PM Eastern Time on Thursday June 8th, 2017. At that time, the auctioneer will take the highest bids on iCollector.com and place them in the live auction happening later in the day. This is an outstanding selection of artwork and antiques and has many treasures to offer. Included in the antiques are snuff bottles, paintings, stone, nephrite, jade, jewelry, and furnishings. An extremely rare Chinese Fine Green Jadeite Dragon Imperial Seal is on the auction block at Lot 191. This is from the 18th Century and is extremely rare. It is of a coiling dragon with its head flanked by long and curved nostrils, with a powerful body and the figure is incised with continuous scales. The face is carved with four Chinese characters in the seal script “Ming De Zhi Bao”; and all four sides are engraved with seal scripts. This incredible museum quality piece measures 11cm by 10cy by 10cm and weights 2199 grams. This is a rare opportunity to get at auction, and this is estimated in value from $80000 to $160000. 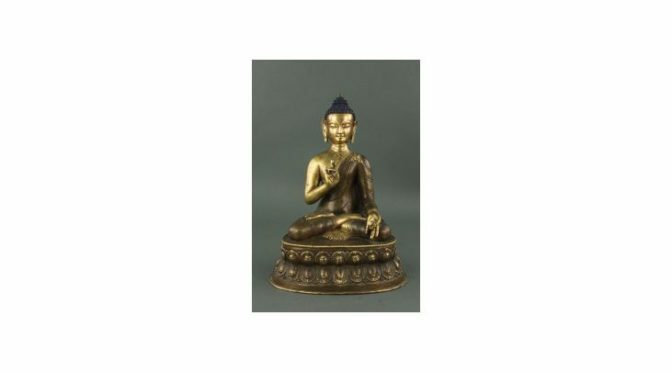 Lot 409 is an incredible Chinese Fine Bronze Buddha from the 17th Century. This depicts Buddha seated on a double lotus plinth and engraved with a vajra mark on the base. It weighs 3032 grams and is 29cm in height, 14 cm in width, and 21cm in length. This incredible museum quality piece is estimated in value of over $20000. All pieces have an array of beautiful photos and full descriptions available for immediate viewing in the online catalog. All final bids will then be taken to the auction floor and placed in the live auction on behalf of each internet bidder. Winning bidders will be notified of their treasures shortly after the conclusion of the live auction.